Baroque style and chocolate match perfectly together and make the irresistible appeal of Modica, a charming city that is 15 km far from Ragusa. 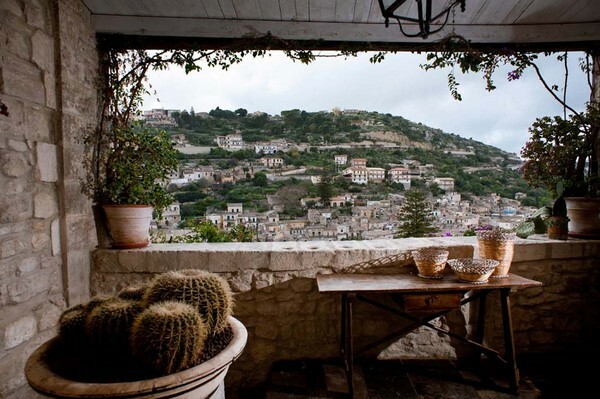 This town, settle between two valleys and on the Pizzo’s hill, is a harmony of churches, palaces and buildings of the eighteenth century (all built according to the late baroque style) overlooking narrow, tiny streets, squares, and stage-stairways. The most extraordinary example is the Saint George’s Cathedral, that belongs to the properties patronized from the Unesco, that faces a stairway of 160 steps. 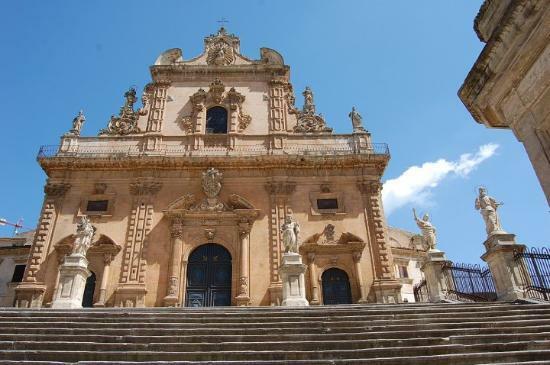 Modica is also famous thanks to its chocolate that has been made since the eighteenth century by using a cold-working. When this chocolate is amalgamated with vanilla, cinnamon or hot pepper, it is a irresistible temptation. Modica's past history and colonizations of Greeks, Romans, Byzantines, Arabs and Normans is visibly shown in its buildings. It has a lively heart due to the fact that it is close to the Marina Di Modica, considered a paradise from the people who love surfing and to do windsurf. If during the day-time long, gilt beaches invite to a complete rest, when the sun goes down a lot of bars, discos, restaurants and nightly haunts invite to a complete fun to enjoy during the hot summer evenings. In the surroundings there are also the locations where the famous Commissario Montalbano (a character created by the Sicilian writer Andrea Camilleri) is shot, like Pozzallo, a town renowned thanks to its sandy beaches, and Sampieri, a characteristic, old fishermen village. 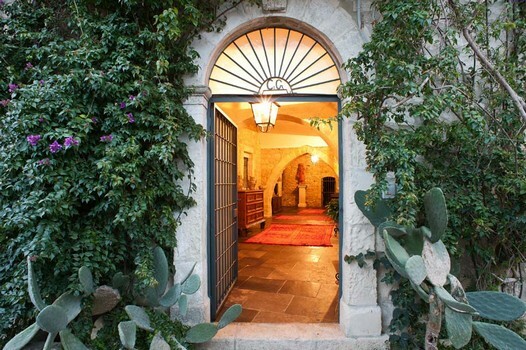 A charming house situated in the old centre of Modica, in a typical little street, just a few steps from St George’s Cathedral. 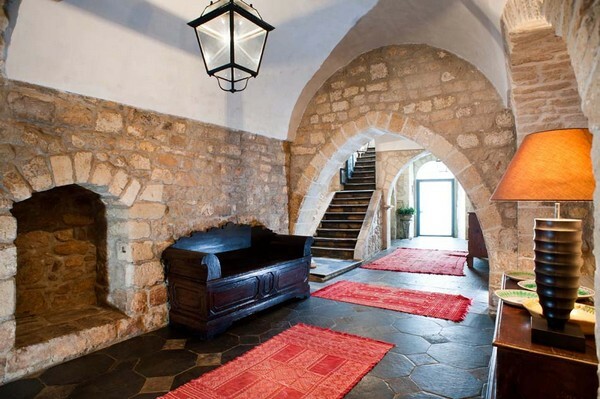 Dating back to the 16th century, this beautiful dwelling has been superbly restored to retain and enhance its original features. 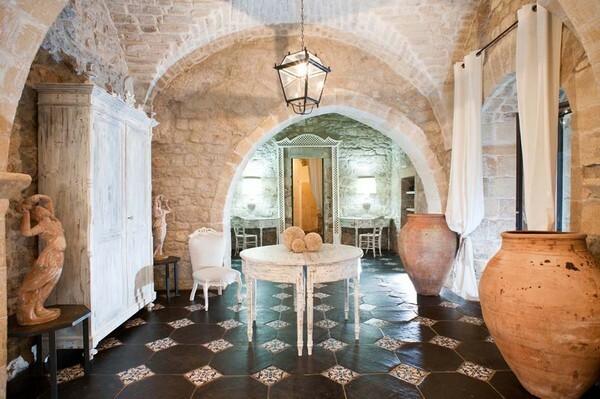 Thick walls, arches, local stone floor tiles, vaulted ceilings and antique furniture characterise the house. A great deal of care has gone into every detail and into each room, from the large entrance hall to the two elegant double bedrooms with bathroom, from the comfortable living room to the well appointed kitchen. This living area opens onto a lovely terrace, which offers a wonderful outlook over the roofs and alleys of the old quarter Cartellone. 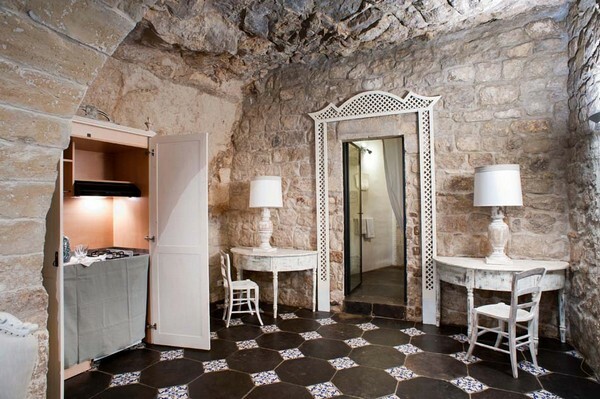 All this makes Casa Modica a friendly and inviting refuge for an unforgettable stay in this charming baroque town. 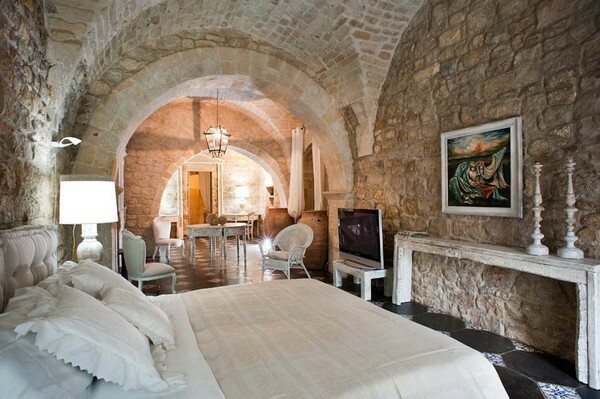 Moreover it is perfectly located for reaching the other enchanting towns of the Val di Noto, such as Scicli, Ragusa-Ibla, Noto and Siracusa, the wide sandy beaches of Pozzallo and Marina di Ragusa, the archeological site of Cava d’Ispica and the Vendicari nature reserve. 1st Floor: living room, kitchen, 1 double bedroom, 1 bathroom with shower, terrace. Dishwasher, Fridge, Freezer, 1 Oven(s) electric, TV, Satellitereceiver, CD player, DVD player, Cot, Heating: radiators + n. 4 heat pumps, Air-conditioning: n. split 4. Ragusa is 15 Km away, Scicli is 15 Km away, Cave D'Ispica is 15 Km away, Noto is 30 Km away, Donnafugata is 30 Km away, Vendicari is 30 Km away, Portopalo is 50 Km away, Siracusa is 60 Km away, Caltagirone is 70 Km away, Piazza Armerina is 110 Km away, Catania is 120 Km away, the Aetna is 130 Km away, Agrigento is 130 Km away, Sciacca is 180 Km away, Selinunte is 230 Km away.